The outside gated entrance sign is unmistakable, and reads "Pardon our Noise, It's the Sound of Freedom." Indeed, countless aircraft launch from this base on a regular basis, creating a mild if downright nonexistent annoyance for locals and visitors, who soon get used to the occasional sight and sounds of jets and planes speeding pass overhead. 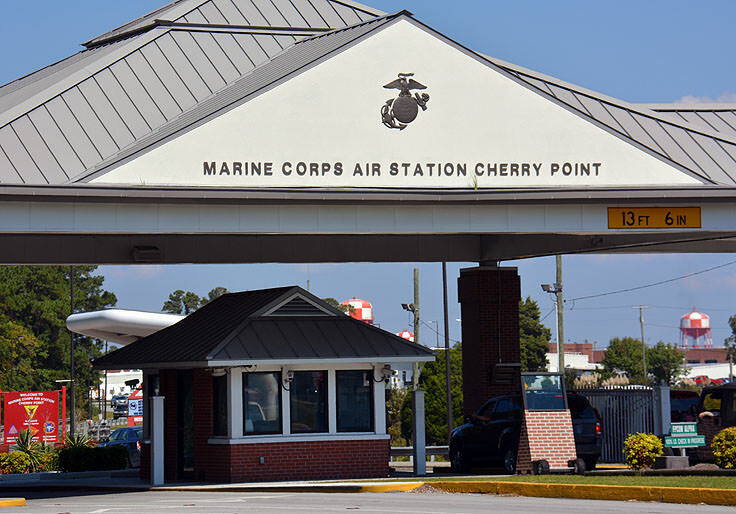 The Cherry Point Station was commissioned by congress in 1941, with an initial appropriation of 8,000 acres of Havelock swamp and marshlands that were cleared and developed to make room for the new facilities. The station proved effective quickly after its construction, helping to destroy German U-Boats that lurked off the North Carolina coastline during World War II. During the Korean War, the station provided a steady stream of first rate aviators and air crewmen, and during the Vietnam War, Cherry Point deployed three of its own A-6 Intruder squadrons to the region, and once again supplied a phenomenal selection of air crew members and aviator personnel. The station would provide other key squadrons and members for Operation Desert Storm in the early 1990s and Operation Enduring Freedom, launched shortly after the 9/11 attacks. Despite a current peacetime atmosphere, the military base has never slowed down its hard regimen of training, and marines from around the world come to this base to perfect their aviation skills. Perhaps as an award to the locals who are proud to have these high-flying marines nearby, the station also hosts regular community events, including the immensely popular annual MCAS Cherry Point Air Show, a spectacular event held typically in the spring, which showcases the aerial talents of trained marine pilots from all over the world. The event generally coincides with an open house for the public, where visitors can explore the extensive training and launching facilities of this instrumental marine base. Other community events, like polar plunges in the dead of winter or big local yard sales, help current marines, local residents, and visitors remain involved with the expansive military base throughout the year. 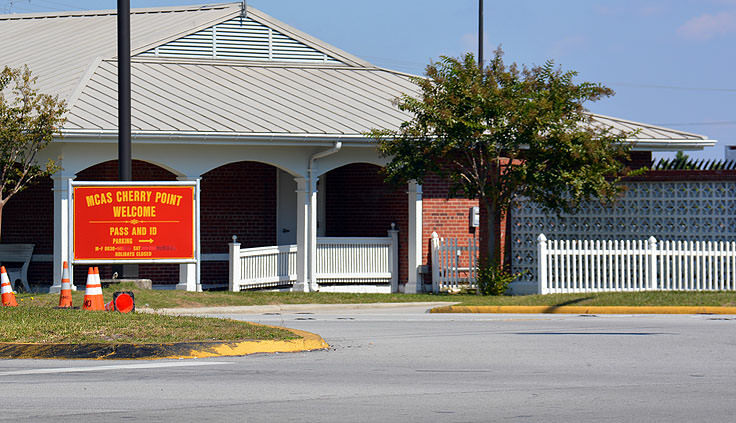 A 70+ year institution that remains a source of immense pride for Havelock locals and stationed marines from around the globe alike, the Marine Corps Air Station at Cherry Pointis an Inner Banks institution that every Coastal Carolina visitor or resident can be proud of.